Matching colors is hard enough but with prints it’s even more challenging, especially if we are talking about animal prints here. Not only do they look tacky when combined with floral, tribal or other animal patterns, but they also make you feel confused about the choice of colors. Outfits with zebra print and neon details will make you look sassy and daring without crossing the line. If you’re not sure how to wear zebra print pants try pairing them with neon green shoes and a plain black top. 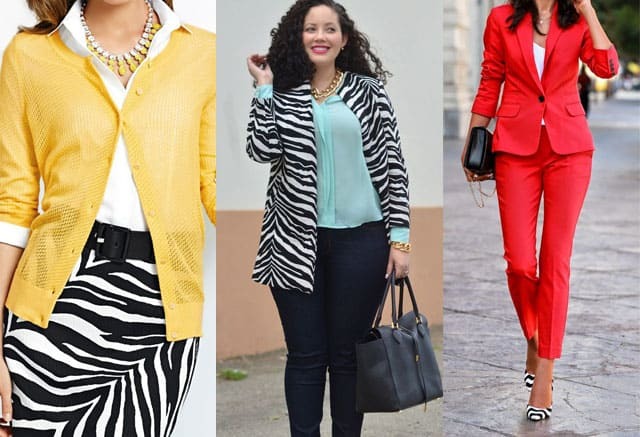 Hot pink or lemon yellow will also do the trick as long as you stick with the golden rule: both zebra print and neon accessory should make about 50% of the outfit. All the rest is reserved for neutrals such as gray, black, white or beige. 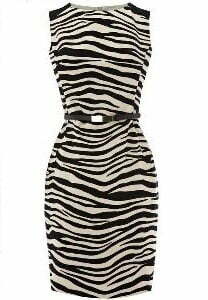 If you’re in a rush and have no time to think what to wear with zebra print go with either black or white. You’re gonna look classy in a non-boring way wearing a zebra jacket over a white turtleneck paired with a tea-length white skirt. Zebra printed cardigan with khaki green skinny pants is an ultra stylish outfit that every day is gaining popularity.